Reigning NH Amateur Champion Lady Jockey LUCY HORNER has been forced to hang up her boots for the foreseeable future owing to an old eye injury. 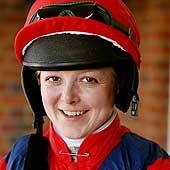 Lucy rode 11 winners last season to take the ladies title, 4 ahead of Rose Dobbin from whom she took the lady jump jockey’s crown. With not only a career total of 28 jump wins under her belt in Great Britain but also wins over timber in the United States and in cross-country races in France (Le Touquet and Dieppe), Lucy has made a great success of her amateur career in a variety of climes.Chris Grant’s TOM’S TOYBOX was one of Lucy’s most high profile rides, giving her three wins and 4 placed rides last season. Lucy remembers her greatest day’s racing when she had the opportunity to ride and be placed in a Grade II Chase and says it was “nice to mix it with the big boys”. We all wish Lucy every good wish for the future and hope that with the advancement of medical science the day will come when she might be able to consider a return to race riding. Thanks to a request from the AJA, we are delighted to report that the BHA have very kindly agreed to increase the current Category B course funding of 26 places per year to 36 places per year (to be completed at either the British Racing School (Newmarket) or The Northern Racing College (Doncaster)) as from 2010. This is really welcome news to all aspiring Cat A amateur jockeys with an eye to progressing their riding careers and we are most grateful to the British Horseracing Authority and to both racing colleges for all of their help and support. 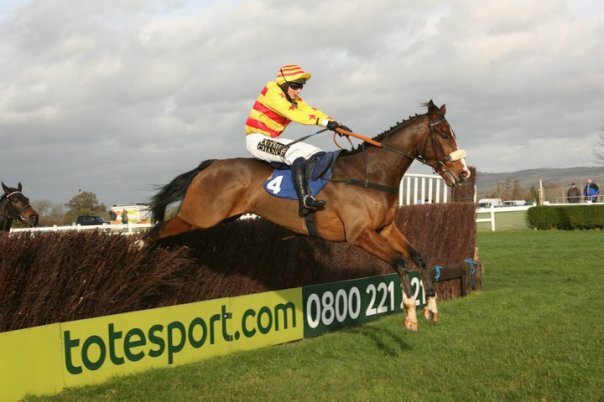 Weatherbys have announced Sam Twiston-Davies and Georgina Andrews as Gentleman and Lady Amateur Jockey Newcomers of the Year and the Veteran Amateur Jockey of the Year prize for 2009 is awarded to Anthony Knott for his memorable win at Wincanton which received media attention worldwide. In addition the AJA President’s Prize 2009 is awarded to Will Biddick for his triumph against professionals at the Cheltenham Festival with Something Wells. Award winners will be presented with their prizes at the AJA Christmas Craic at Elcot Park, Newbury on Saturday evening for which tickets are still available at £25 per head (which includes a 3-course dinner) by simply calling 01886 884488. Amateurs strictly dancing and Yorkshire dominates! Last Saturday evening saw another successful Northern Dance organised for the last time by the dynamic duo Carol Bartley (16th year of organising) and Serena Brotherton (9th year of organising) and the AJA owe them both a huge thank you for so many years of unflagging support and sheer hard work. Scotch Corner hosted the evening which was attended by 155 guests and the AJA will be welcoming the hotel as a new sponsor in 2010 for the October ladies amateur race at Redcar, run this year in their name. This Saturday the AJA will be celebrating this year’s amateur champions, all of whom can boast Yorkshire links and/or heritage! This is an amazing result for the North. Tickets are still available at only £25 for a good evening in store by calling 01886 884488 and is open to all, so hurry and book now while space allows! Many congratulations to no less than 5 talented amateur jockeys who enjoyed winning rides across the country today! First of the day in the winner’s enclosure was reigning NH Amateur Champion Oliver Greenall with WESTLIN’ WINDS at Hereford in the 12:50 Novice Hurdle. Making a winning start to his jumping career, the winner was always handy and took control at the penultimate flight to stay on decisively to win by 10 lengths. The 1.30 2m Handicap Chase at Wincanton was won in fine style by Alan King’s amateur James Banks enjoying his first win under Rules on ONLY DREAMS, giving trainer Nick Lampard success only 3 days after obtaining his trainer’s licence when scoring at 33-1. James had a great ride round, jumping well and travelling purposefully, despite been left in front sooner than ideal, and in spite of the horse tiring managed to hold on to score by a neck from Robert Thornton in a driving finish. Gina Andrews was the next successful amateur in the winner’s enclosure after the 1.40 Handicap Hurdle at Huntingdon with Pam Sly’s VIABLE, making it this formidable trainer/jockey partnership’s tenth win. The 2:50 at Hereford, the amateur Handicap Chase, was won by in-form Matt Griffiths on FORTIFICATION who was making it a hat trick. Finally the 3:30 pro/am Hands and Heels at Wincanton was won by front running CAMPFIRE TALES given a positive ride by Lucy Barry who was also enjoying her first winner under Rules having enjoyed seven point-to-point winners. Lucy is attached to John Manners’ widow’s yard and rode a third for her at Leicester on Monday. Many congratulations to all winning jockeys, and especially to James and Lucy on their first winners under Rules. Are all the party animals in the North? With this weekend’s Northern Dance at Scotch Corner a complete sell out, tickets remain available for the Champions Craic at Newbury on 28th November. Can the South match the North and also have a sell out event?!?!? Call 01886 884488 or 01933 304778 or 07789 935399 and book your tickets now!!!! 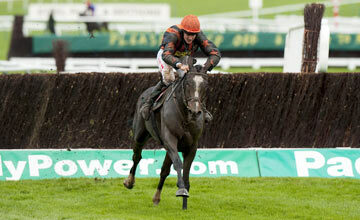 SAM TWISTON-DAVIES STRIKES AT CHELTENHAM! Riding for his trainer father Nigel, Sam Twiston-Davies partnered RAZOR ROYALE to a great victory in the opener, The Irish Times Amateur Riders’ Handicap Chase, at Cheltenham today. His mount relished the testing ground and the pair gave a great display of jumping and galloping. Front-runner THE SAWYER had STRAWBERRY and FREEZE UP on his heels for the first circuit. Last year’s winner, HOOPY, was towards the rear whilst favourite MY LORD OSCAR was anchored in last by Nina Carberry.On the second circuit the pace quickened, with Freeze Up and Qhilimar moving to the front at the top of the hill. Razor Royale was always travelling ominously well behind and was quickly pursuing Qhilimar before three out.At that fence Razor Royale was left alone in front when Qhilimar blundered in what was a sign of things to come as he fell at the next. By contrast, Razor Royale put in a magnificent jump at the penultimate fence and stretched clear to draw away from his weary rivals with relish. The Sawyer (Mark Wall) was a gallant second, with Mister Apples (Oliver Greenall) back in third. Many congratulations to Sam and to winning connections on a very special win to remember. Matthew Griffiths enjoyed winning the opener at Taunton today, the amateur riders’ handicap hurdle, in fine style for Tony Newcombe on JOCHESKI, making smooth headway to take up the lead 3 from home and stay on well to win by 14 lengths. Ninety minutes later Matthew was revisiting the winner’s enclosure when he scored on FORTIFICATION for Ron Hodges in the 3 mile Handicap Chase. Riding against professionals, Ratification was left clear at the 12th to go on and complete unchallenged. Many congratulations to Matthew on a great day’s racing in which he also finished 2nd with his other ride of the day.